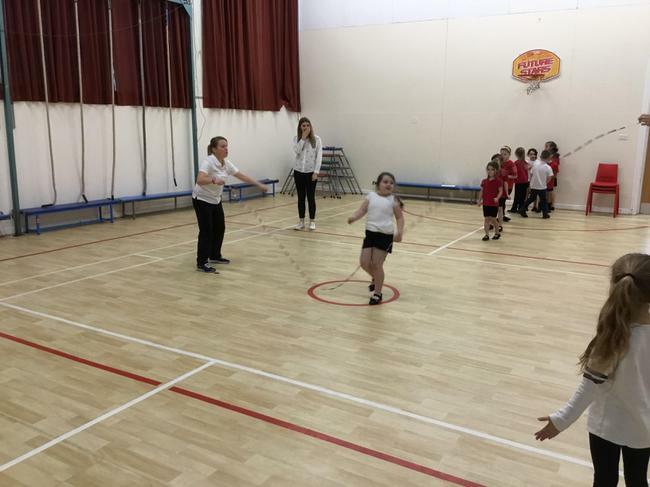 The Active 30:30 has been developed to increase physical activity for children outside timetabled curriculum P.E.All young people should be striving towards 60 active minutes every single day: schools are responsible for 30 active minutes and the other 30 are to be achieved out of school. This will hopefully support children in their behaviour, mental health and help tackle obesity. At Bramley St. Peter's we are working hard to fulfill our role in some creative and exciting ways. 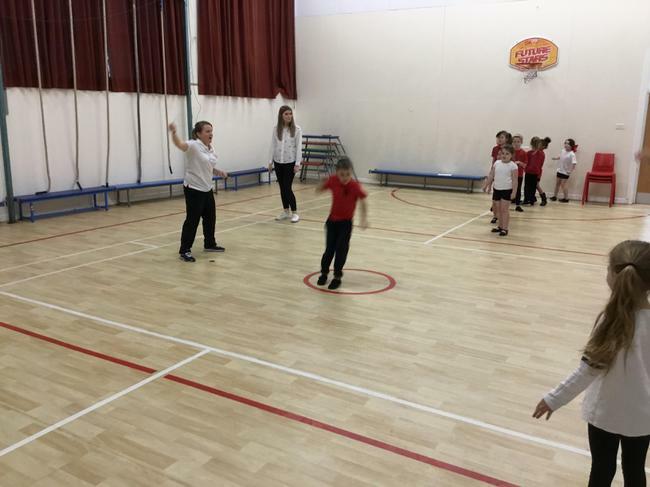 Recently, we have been working hard to develop the playground: not only do we now have a fantastic trim trail, we have bought some exciting new equipment to target some skills and promote getting active during our breaks and lunchtimes. Some of our favourites have been the jumping sacks, stilts, hula hoops, ankle skips and balance boards. 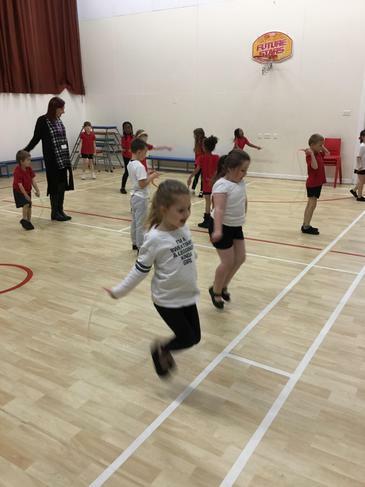 As well as helping us get healthy, the craze of the week strategy has also improved behaviour during unstructured social times and helped with some social skills like sharing and supporting. 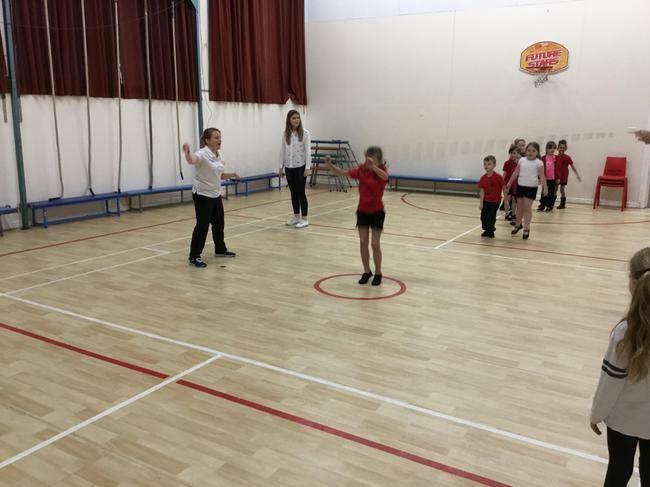 Year 2 have had an amazing opportunity recently to work with the Skipping School ready for the Skipping Festival. 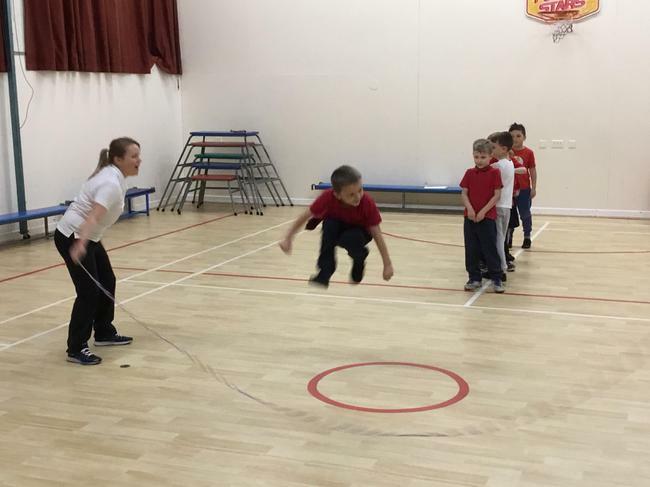 ALL children worked on a range of individual and partnership skipping skills and long rope games. The children absolutely loved it and the progress they made was huge - some could not skip at all at the start of their morning but were amazing by the end, event managing to jump in! 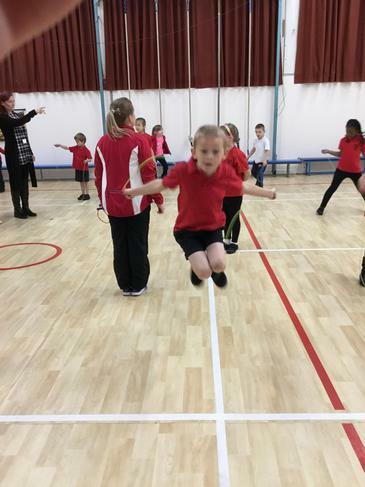 Skipping develops pupil's fundamental movement skills and improves their agility, balance and coordination. We have continued to practise and will be working on it in one of our PE lessons to prepare for the competition. Year 4 will also be having the training later in the year and they cannot wait. Skipping is an amazing way to incorporate the Active 30:30 as it is so catching and enjoyable. Many other children, including in other years are now skipping in their breaks, lunches and even at home which is so great! Keep it up BSP! 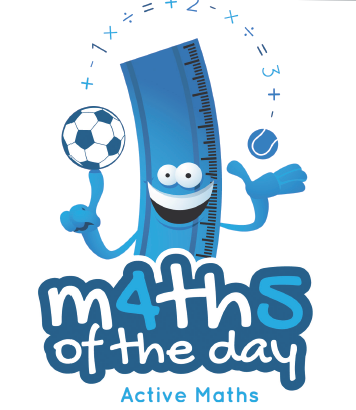 We used some of the P.E funding to purchase an amazing resource called 'Maths of the Day'. This gives us access to some amazing, active, maths lessons all the way from Year 1 up to Year 6. There are active maths ideas for every single objective that can be done outside, in the hall or in the classroom. Not only do they help with our maths, as they are memorable and exciting, but they help us towards our 30 active minutes. 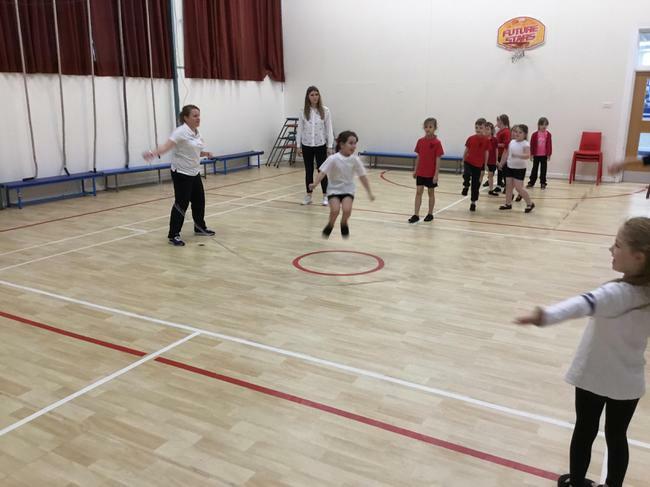 A lot of the resources require the use of P.E equipment like cones, beanbags, hoops and skipping ropes! During our holidays from school, it is extremely important that we stay active and achieve our 60 minutes a day. Therefore, we have started sending active homework to inspire our children to try new things and keep fit and healthy. The whole school tried this homework and some star students managed to complete everything (and more) than the sheet offered. It was also fantastic to hear parents were also getting involved and completing some activities as a family. Let's keep it up BSP! GoNoodle is an amazing website with hundreds of free resources to inspire children in physical activity whilst also supporting and increasing attainment, as many of the videos are educational and centered around grammar, maths and general knowledge. 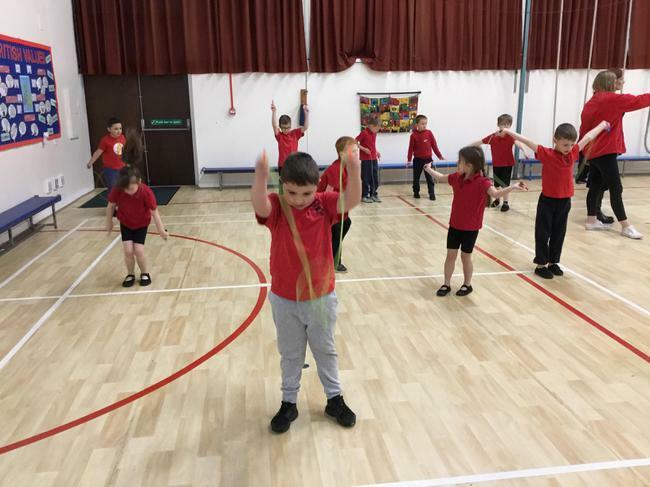 In afternoons, many classes use GoNoodle time to get children active but also to give their brains and bodies a rush of adrenaline to help concentration and behaviour in lesson time. We even have a GoNoodle ks1 club now as it was so popular!